We all know about the tragic flooding that took place recently here in Nashville. The cost of this catastrophe is estimated at $1.5 billion and rising. Several lives were lost and thousands of homes were damaged or destroyed. Nashvillians have been pulling together like never before, helping their neighbors and staying positive and hopeful for the future. We have been through mandatory water conservations, loss of power, and blocked roadways together. The most heart warming and amazing thing we have seen has been the positive outlook Tennesseans have kept through all of these hardships. We here at WedCandy have been helping where we can. We’ve been donating our time and helping our neighbors as much as possible, just like many of you. Last week we decided to put together a fund raiser to help raise money for flood relief and rebuilding. We came up with this little saying, “You can’t keep a good town down”. This seemed to convey the positive attitudes and eagerness to volunteer we keep seeing over and over again here in Nashville. When we started thinking about how to raise money for the cause we decided to use this little quote in our final concept. We thought a commemorative poster would be an affordable and easy way to help generate donations. 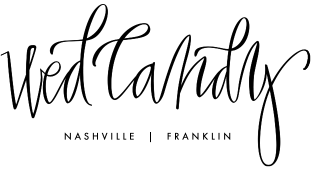 The first person we called was our friend Alex Pearson with Family Tree Design & Illustration. Alex is an amazing illustrator and an extremely talented local designer. Alex was on board from the first mention of the poster and we relied on his artistic eye to create the iconic floating guitar concept that so clearly expresses what our town has been through. After working out the details with Alex we made a call to one of our favorite local print shops, Midtown Printing. Midtown operates a great website for quick and easy poster printing called ShortRunPosters.com. Once we talked with them about our concept for the poster they graciously offered to cover all printing costs for the first 100 poster. The finished product is displayed below. We hope you all love this limited edition poster as much as we do. We also hope you will take a moment to visit the poster site, take a closer look at the artwork and, if possible, purchase a print. All proceeds from the poster go directly to The Community Foundation of Middle Tennessee’s Flood Relief Fund. We’ve already raised well over $1000 from poster sales, that’s just the beginning, let’s make it $10,000! Also, be sure to become a fan on the Facebook page! I love this poster and I just bought one! Thanks for helping raise money for the flood relief! I’m also hosting a fundraiser through my etsy site while I’m on maternity leave. This town is pulling together in every way – it’s so amazing to see the volunteer efforts! Just got your poster in the mail and can’t wait to hang it with pride! 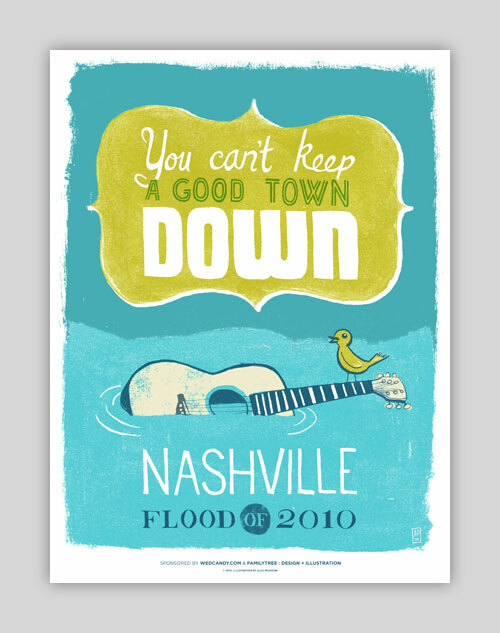 I see the very reasonable price on the Nashville flood poster, but I don’t see an address or a link for the purchase, do you still have any?